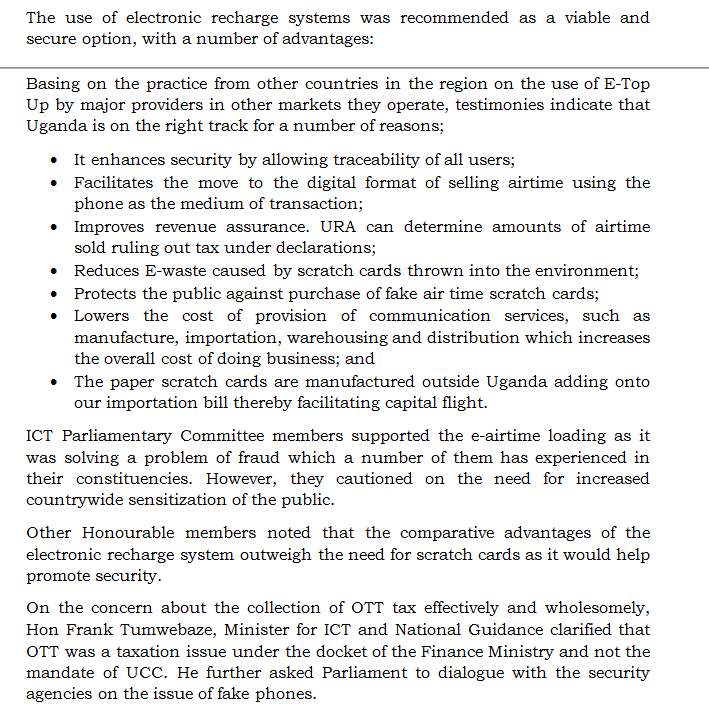 Kampala – Mr. Godfrey Mutabazi, the Uganda Communications Commission (UCC) together with ICT Minister, Frank Tumwebazi have on Thursday August 9 convinced MPs on the ICT Parliamentary Committee to support e-recharge. The meeting was a follow up on the Cabinet agreement to streamline the registration of SIM Card users to improve the security in the county. 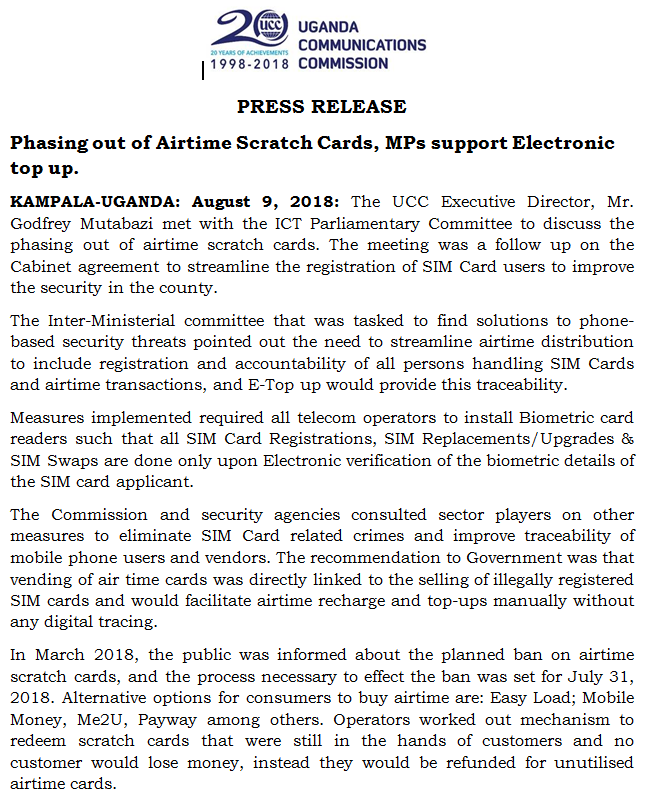 The committee had also summoned Mr Mutabazi to explain how UCC intends to enforce the electronic recharge of airtime yet some telecoms are yet to stabilize their network coverage across the country. Mutabazi told the MPS that the sector was undergoing a technology evolution and that in this digital era the integrity and accountability expected of communication systems was unprecedented, hence the new measures.